I am not a member of the Lensbaby Fan Club. Honestly, I could never understand spending $300 on a lens to create this effect on-camera. 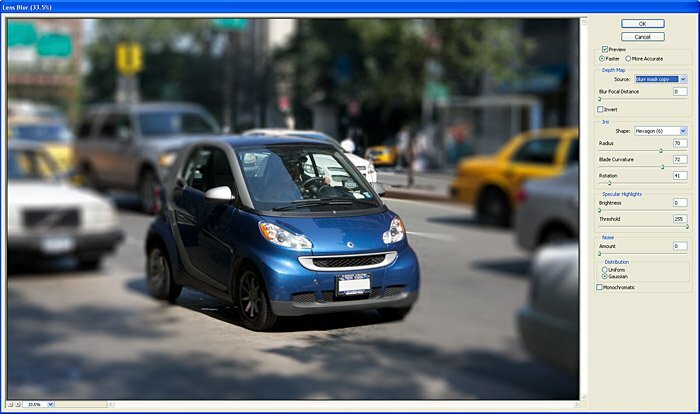 I would much rather take a sharp photo (as a source) and create the selective focus effect in Photoshop. 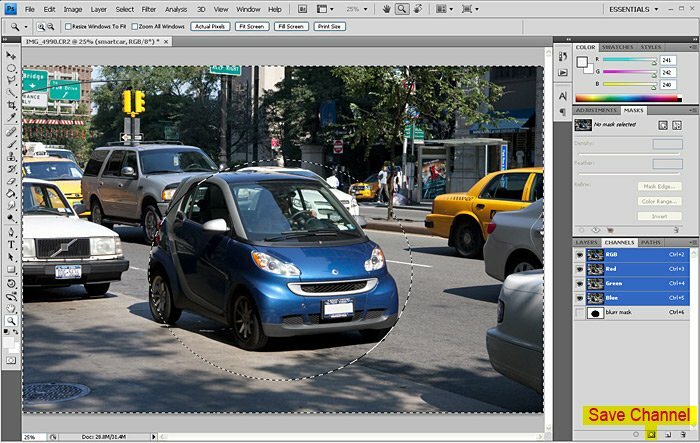 Plugins like FocalPoint and Bokeh make it even easier to create this effect directly in Photoshop. 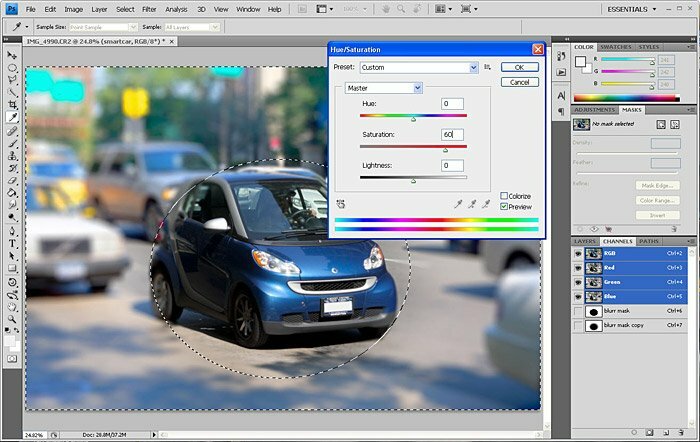 But, with a little effort, you can create the selective focus effect yourself just with Photoshop. 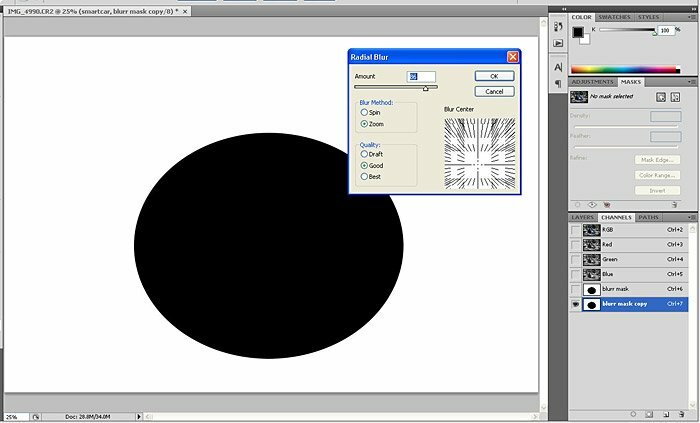 Using the Elliptical Marquee Tool, draw a round selection over the area which should remain sharp. Now Invert the selection (Shift+Ctrl+I on PC or Shift+?+I on Mac) and save this selection as a Channel. With the new channel highlighted, go to Filter > Blur > Radial Blur. Lensbaby photos have an irregular blur effect caused by tilting the lens. I used a Zoom Blur with a high amount (ex. 85) to recreate the irregular blur. In the dialog box, you can click in the Blur Center and drag the center to the approximate place of the center of the Channel. The Channel needs to be a little smoother. With the new channel still highlighted, go to Filter > Blur > Gaussian Blur and select a high pixel radius to smooth it out. Depth Map selecting the blurred mask which I just created. To provide some additional separation between the sharp area and the blurred area, I loaded the blurred channel again on the photo layer. Using Levels (either an Adjustment Layer or direct application), I dragged the Midtones slider to the left to lighten the blurred area. With the blurred channel selection still in place, I decided to increase the saturation of the blurred area. Using Hue/Saturation (either an Adjustment Layer or direct application), I dragged the Saturation slider to the right to over-saturate the blurred area. 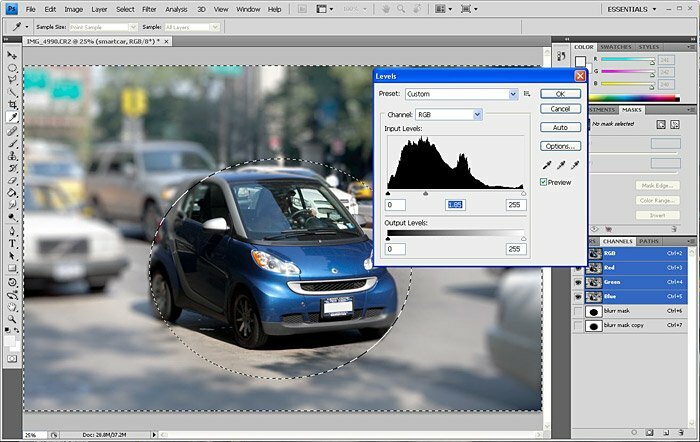 NOTE – be sure to take a look at my article on Topaz Labs new plugin called Lens Effects. 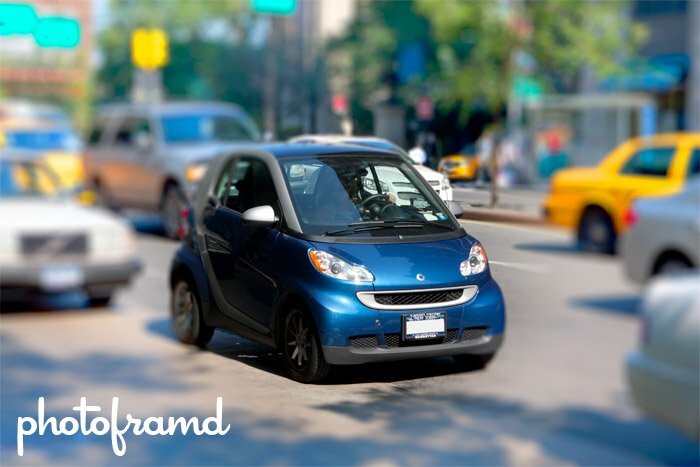 It also can create the Lensbaby selecting focus effect (Tilt-Shift effect), along with a whole lot more. I think the saturation was a bit to much, or perhaps just to much saturation. Try it with about half the saturation and see how it looks, maybe a small adjustment to the vibrancy as well. That’s a good point. 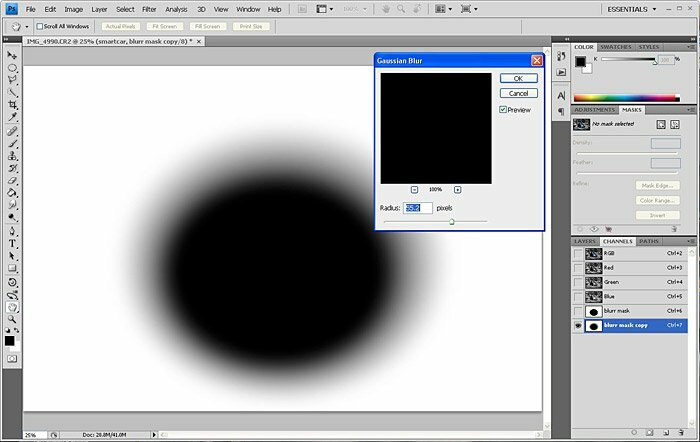 I was trying to show how far you can go with Photoshop once you have the blur channel mask created. You can modify the technique to suit your own needs.